Task: To implement a smart robotic solution to assemble and add inserts into a wide range of hybrid plastic and metal injection moulded parts. Solution: To create a cell employing versatile FANUC M-1 robots, both independently and in combination with the Cartesian robots. Equipped with iRVision these are capable of recognising and placing parts to extremely high degrees of accuracy. Result: Economical and flexible cell design. Optimal assembling and recognition of inserts and increased competitiveness for customer. To manufacture automotive parts, two M-1iA assemble pins to be inserted into moulds for injecting. M-10iA unload parts for medical sector from a Roboshot injection moulding machine. I would define FANUC as "reliatechnology". I had to invent a new word because at FANUC it is impossible to disassociate technology from reliability! Family enterprise that started its activity in the imports and exports business in 1915. Conscious of the importance of new industrial technology, as early as the 1930s the company brought to Portugal what we believe to be the first moulding machine for plastic injection moulding in Portugal. With that, the company began what is its main activity today, supplying the whole range of materials and machinery for the plastics industry. Now, in the 4th generation of the family, the culture of dynamism and innovation is continuing, ensuring competitiveness for its customers, integrating solutions, flexible and economical, as a means of integrating the technology and innovation of its suppliers.The relationship with FANUC began in 2006, bringing innovation to its market once again. In addition, at that time the presence of electric injectors of Japanese origin was practically non-existent. Today the company operates in Portugal and more recently in Spain with the local commercial support of its partners GUZMAN GLOBAL, also a company with strong traditions in the plastics industry, always with an important component of innovation and closeness to the customer. What are your responsibilities at the company? From an operational point of view, I am responsible for our machinery business. I must ensure that we have a group of clients that allow us to ensure the competitiveness that our customers look for. I must ensure that we communicate it to the customer correctly. Finally, give to the customers that entrust us with their order a dynamic team that delivers the product to them, installs it, sets it up and ensures they receive post-sale support. 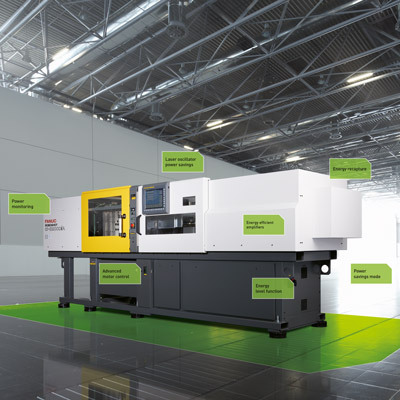 What types of solutions have you developed together with the FANUC products? 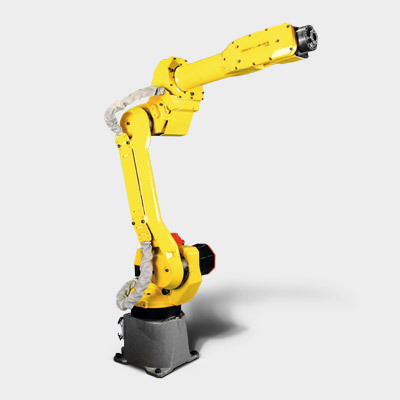 ROBOSHOT was our first FANUC product, with which we achieved spectacular results at very important customers with very high demands. This confirms that we are on the right path. The direct integration of vision into the robot allows us to develop advanced applications in a very simple fashion with optimum development. In the plastics industry, there is increasing production of hybrid plastic/metal parts, whereby the robots with integrated vision are an optimal tool for seeing and handling the inserts. As regards your dealings with the staff of FANUC Iberia, how would you evaluate it? Very important, once they are very close and they allow us to develop these tools in quick and efficient fashion. In our industry, we are very familiar with the environment and what our customers need. FANUC Iberia helps us in an efficient manner to adapt the tools to the processes in order to achieve what we are looking for for our customers. Another important aspect of support is the level of publicity and communication, where FANUC Iberia helps us to transmit to our customers the potential they can reach with the FANUC products. This is very important, since normally it is the most informed customers that achieve the best results. What would you emphasise as strengths of FANUC Iberia as a company, as a product and as a team? FANUC Iberia has a clear understanding of the importance of the integrator for the customer and for its product. In a sector such as ours, plastics, this takes on very great importance once profitability is achieved by giving attention to all the details and doing it well in each step of the process. Here, we are a benchmark in our sector. The ability and experience to see and surround themselves with the best experts in each sector is undoubtedly one of FANUC Iberia's strengths. As a product, one can clearly see the technological advancement where artificial intelligence functions predominate and make it easy to achieve spectacular results in a quiet fashion. The team is young and dynamic. They have a profound knowledge of the equipment, which helps us integrate them and adapt them, be it in the search for performance or adaptation to the standards, of which there are a great many in our sector.